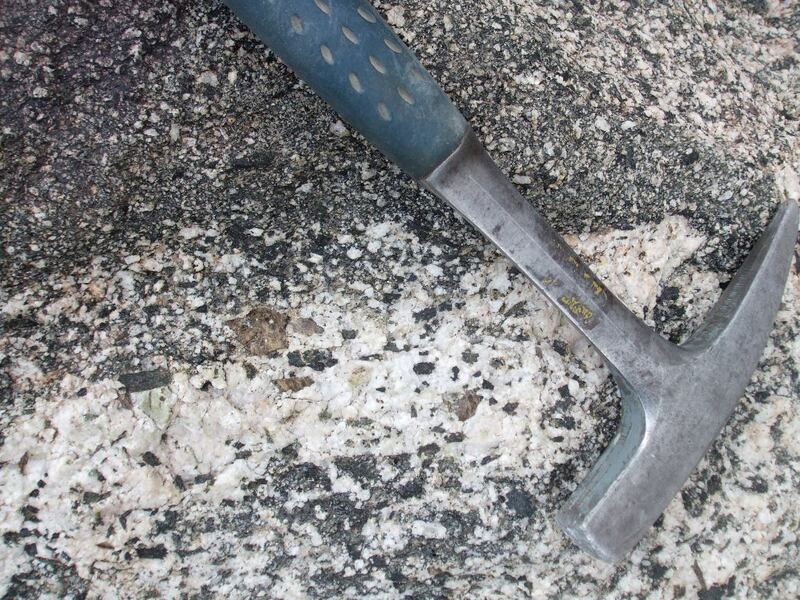 Large sphene crystals are found in granodiorite throughout this area. The coordinates were taken at an outcrop near a roadcut that offers a convenient parking spot along the Palms to Pines Highway (CA74). The sphenes range from golden-brown- to tan-colored and may be over an inch across. 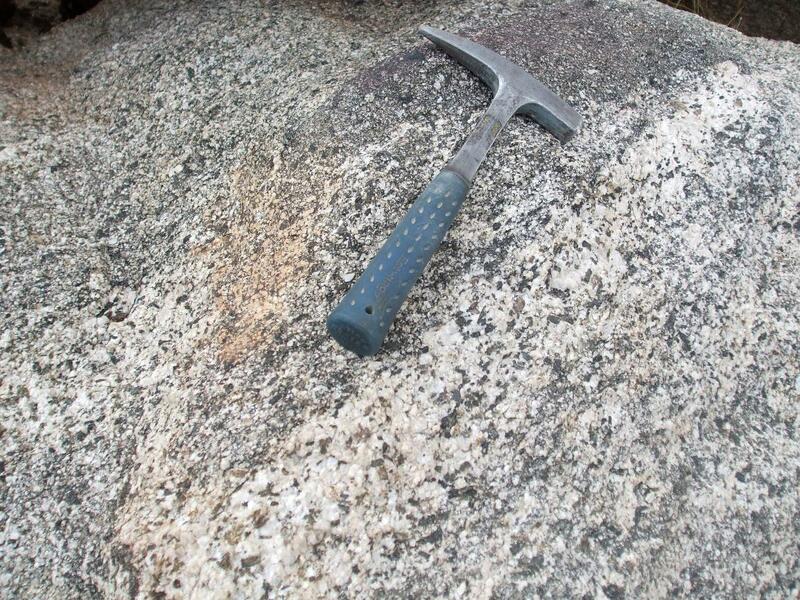 Large crystals are most common in coarser-grained pods within the host granodiorite. Large Sphene Crystals from San Jacinto Mountains, California, R.W. Webb, American Mineralogist, 1939.